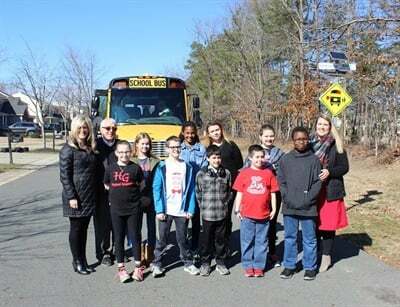 HOLLY SPRINGS, N.C. — A group of middle school students here received national recognition after developing a flashing sign to improve school bus stop safety. 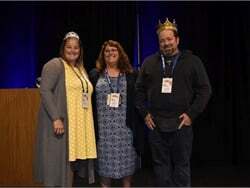 The team of sixth graders from Holly Grove Middle School were recognized as one of 50 state finalists for Samsung's “Solve for Tomorrow,” a national contest designed to help students create change in their local communities by using skills in science, technology, engineering, and math (STEM). The students developed a flashing sign with LED lights to alert students, bus drivers, and motorists when a school bus is within 300 feet of the bus stop. Their contest submission granted them $20,000 worth of technology for their school. 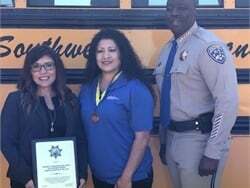 Debra Schelin, a sixth grade teacher for Holly Grove Middle School, told School Bus Fleet that she first encouraged her students to enter the contest after receiving an email from Samsung. 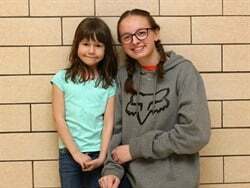 The students said they began sharing their experiences with school bus safety during a classroom discussion, in which two of the students recalled an incident in which one of them was nearly struck by a vehicle while trying to board their school bus. Before developing the idea for the flashing sign, the students’ initial plan was to create solar-powered cameras to be placed on stop arms as a way to capture motorists illegally passing stopped school buses. 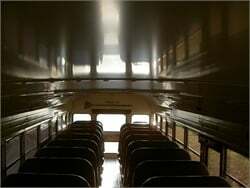 However, the students changed their idea after they discovered that Wake County Public School System had already installed about 20 stop-arm cameras on some of its buses. 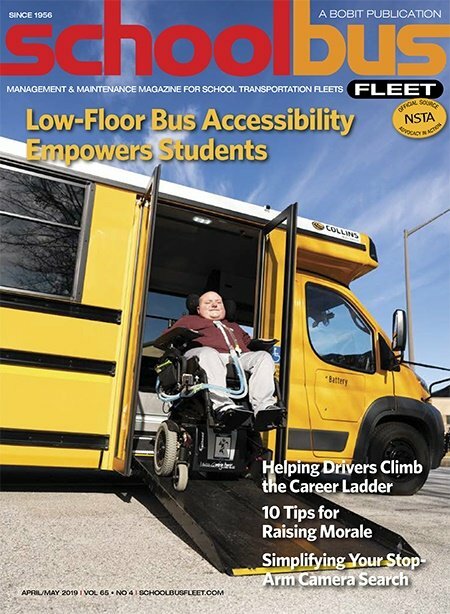 Stephen Sposato, the director of transportation for Wake County Public School System, said that based on data collected last March, there are nearly 3,000 stop-arm violations each school day in North Carolina. 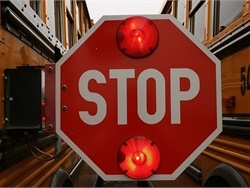 Sposato added that the safety of students is critical when entering and exiting the school bus and believes the advanced notification of the flashing sign will help better prepare motorists to be cautious and stop for buses. When asked about the district's plans to install the “smart” sign, Sposato said the district hopes to see prototypes developed and pilot projects implemented. 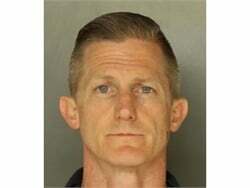 However, he noted, there is no exact time frame for installation. 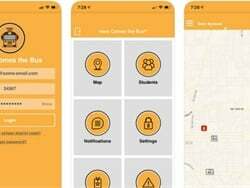 On Friday, the team of students recorded a video to showcase their idea and included a mock-up of how the signs would work in a demonstration with a school bus, according to a post on the district’s Facebook page. The video will be their entry submission for the next round of the Samsung contest. 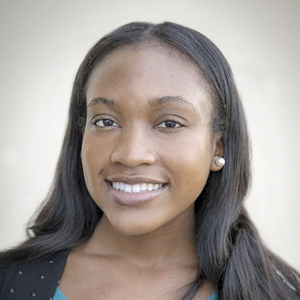 Ten national finalists will be selected to present their project to a panel of judges, and Samsung will announce three winners to receive $100,000 in classroom technology and supplies, according to the contest’s website. Schelin said if the students are selected as one of the top three winners, the principal of Holly Grove Middle School will invite them to be a part of the committee that designates how the school will distribute the funds for the classroom technology and supplies.